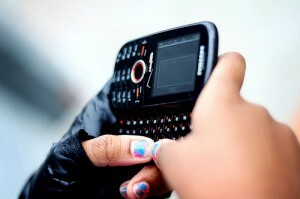 The research firm, Ipsos, has completed what may be the first global study of cyberbullying. The online pool included more than 18,000 adults in 24 countries. The study measured parental awareness of cyberbullying, not actual, rates of this behavior. Parents constituted a third of those surveyed (6500). They reported that the most common vehicle for cyberbullying was social networking sites like Facebook, followed by mobile devices and online chat rooms. In Indonesia, 91% of those polled knew about cyberbullying. In the study, cyberbullying was defined as where a child, group of children or teenagers intentionally intimidates, threatens or embarrasses another person through the use of information technology such as social media or mobile devices. Australia followed at 87%, with Poland and Sweden following close behind. The United States came in at 82%. Countries where parents reported incidents of cyberbullying of their children included Saudi Arabia (29%), Russia (35%), India (32%), Brazil (20%) and Canada at 18%. The results and countries can be found here.